Equestrian Coach BlogHome Latest Posts Grassroots, Riding & Training Help Heels Down! 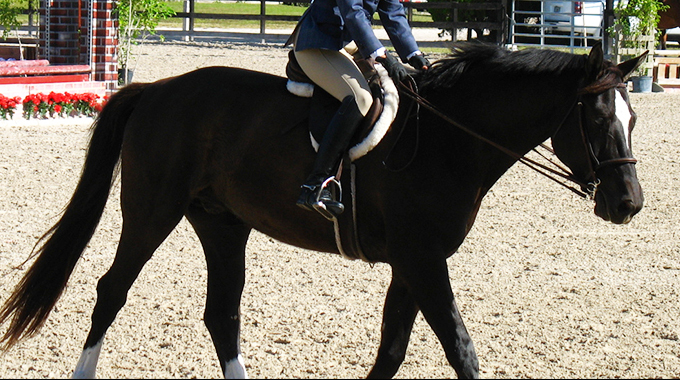 As riders, we’ve all heard our coaches say “heels down” so many times it’s become a mantra. 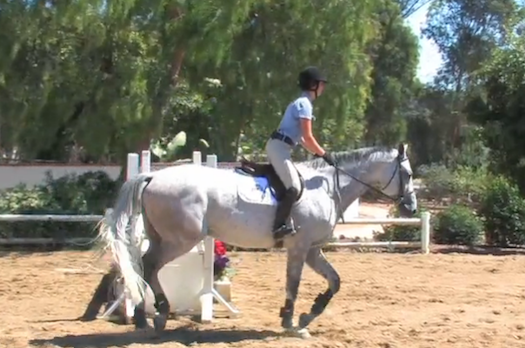 We all know that practicing without stirrups is a sure fire way to get strong and tight in the tack. But if you’re just getting back into the tack after a hiatus or aren’t quite confident enough in your fitness or balance to go without stirrups, I’ve got a few exercises that I’ve been doing and teaching for years. All my former students can profess to being asked to do these exercises again and again. STAND UP: That’s right, stand up in the stirrups. This is also one of Bernie’s favorite exercises of all time! So much so, he says he teaches it almost every weekend at his clinics and was just having his students try it at the EquestrianCoach Workshop. You’ll really feel your weight get down in your heels. UP-UP-DOWN: Another great one to get your weight down in your heels is to post up-up-down. Instead of posting up-down-up-down with every step, try posting up for two beats or steps and down for one (UP-UP-Down). This exercise not only gets you to shift your balance off your seat and into your stirrups but also helps elongate your calf and get your heels down. Believe me, after a few times around the ring, you’ll really start to feel the burn! 2-POINT: Get up in a two point and hold it. Start at a walk and work your way to the trot and canter. 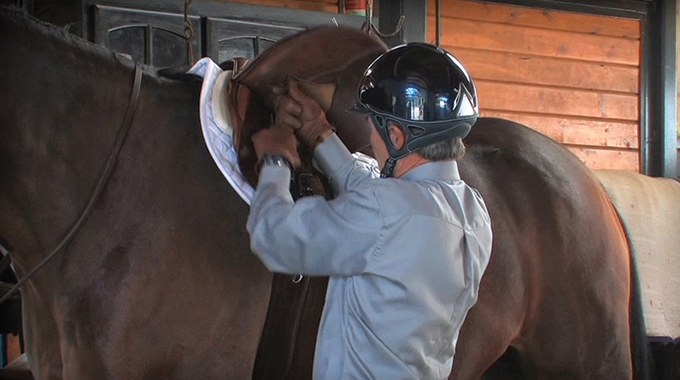 Not only is this an “oldie but a goodie,” it’s a great way to increase your strength and stamina in the tack. Before you know it, you’ll be ready to drop those stirrups. 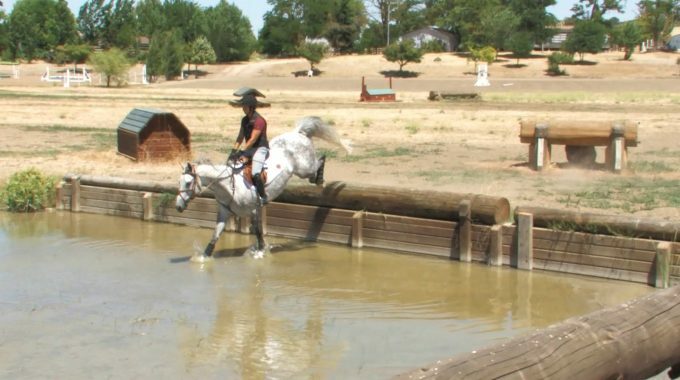 With all three of these exercises, don’t be afraid to grab a little mane until you get the hang of it so that you don’t fall back into the saddle and or accidentally catch your horse in the mouth. After you’ve mastered these exercises and are ready to get even tighter in the tack, then it’s time to take it to the next level; it’s time to drop those stirrups. Nothing makes your legs feel longer, heels deeper and position tighter. Need a little motivation to drop those irons? Did you know that back in 2012, leading up to the London Olympics, teen sensation Reed Kessler posted several blog entries highlighting her frequent “no stirrup” training days with her then coach Katie Prudent? She proves that even the best still have to work on getting tight in the tack! Click here to check out the article: “Reed Kessler: Ready to Go!” on Equisearch.com, which highlights her philosophy on this. Our very own Bernie Traurig did a great topic all about getting your heels down. This is one of the first things every rider is taught because it’s essential to proper position and effective riding. 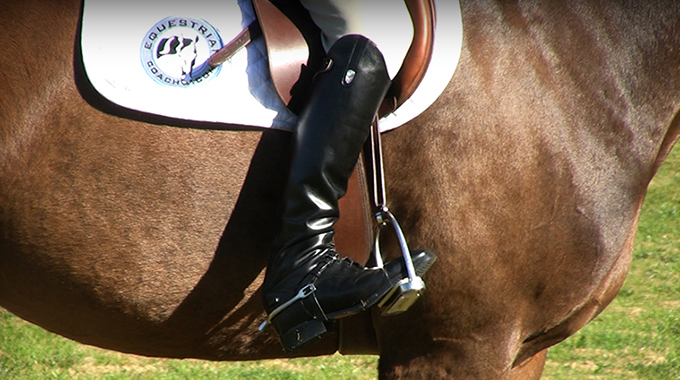 In this topic you’ll learn exercises on and off your horse to increase and maintain deep heels every day. Below is the preview of this video topic. For the full length version of this topic, click here. 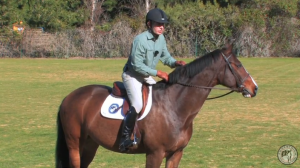 Another one of Bernie’s favorite topics is: “Gaining Lower Leg Mobility.” In it he demonstrates an exercise he uses to encourage stability in the tack and to prevent the toppling effect of an improperly placed or weak lower leg. Basically, how to fix a leg that slips too far back. Below is the preview of this video topic. For the full length version, click here.